Samurdhi Ministry Secretary and the Commissioner General of Samurdhi Authority Dr. (Ms) Kumari Navaretna awarded the scholarships to students who have excelled in GCE ordinary level and GCE Advanced Level examinations. Each scholarship recipient receives 350 rupees per month till he completes secondary school education. Ten students from Samudhri families in each of the eleven divisional secretariat divisions in Trincomalee district were selected under this scheme, said Trincomalee Government Mr. Gamini Rodrigo at the event. SSDTF spends Rs 38,500 a month totaling to Rs 462,000 per year to award 110 scholarships to students in the Trincomalee district. Mr. Gamini Rodrigo said that of 274 schools inTrincomalee district 185 are Tamil medium and 64 are Sinhala medium. 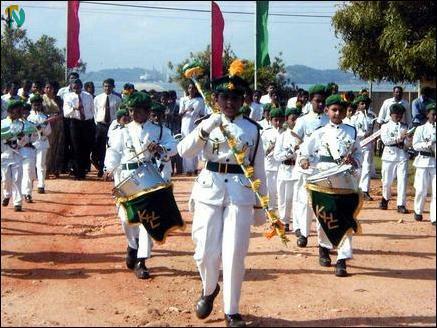 About 72 thousand Tamil medium students and around 27 thousand Sinhala medium students attend these schools. 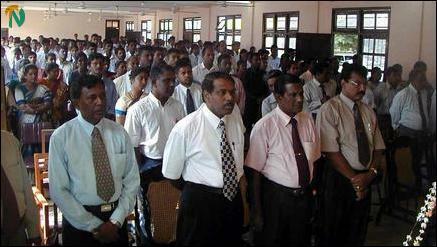 "About 25 schools in the Trincomalee district have been temporarily closed," said the government agent. The SSDTF launched this scholarship scheme to assist hildren of Samurdhi families to develop their education and other talents. There are more than two hundred thousand Samurdhi families in Sri Lanka, Dr.Kumari Navaretna said. The SSDTF will be strengthened next year with financial assistance of the World Bank. Already three thousand Samurdhi children who have excelled in public examinations have been awarded with scholarships to further their studies, Dr.Kumari Navaretna said.